When installing, commissioning and repairing equipment on a customers' premises, the service engineer faces two challenges: firstly to use specialist knowledge in order to complete the required task and secondly to ensure effective communication with the customer. Good communication is a vital skill to allow the identification of the customer's needs and expectations and to ensure they are met. Only if all these requirements are met can we achieve customer satisfaction. This course develops a structured approach to handling customer communications. It presents useful tools to guide the service professional and helps develop the core skills needed for effective communication. The course contains presentations, reading activities, partner activities, discussion sessions, practical sessions, video extracts, reference material, work books and a personal action diary to help the individual transfer the acquired knowledge and skills into their own particular environment. All personnel involved in delivering after sales service on site at their customer's premises such as Service Engineers and Technicians. A good practical knowledge of their own company's machines for which they provide customer support is required. 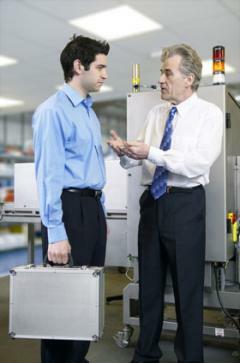 Experience of visiting customers in a post sale technical support role is highly advisable.